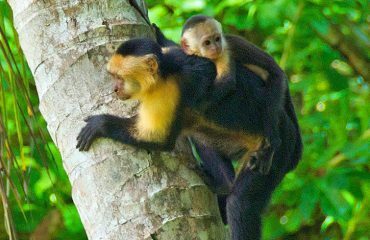 Visit the corcovado national park: your experience will be unforgettable! 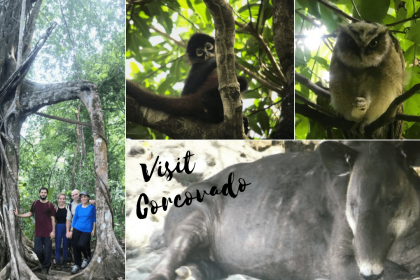 To all those who love nature and are easily surprised by the wonders that our planet offers, the Corcovado National Park in Costa Rica represents the maximum tourist destination. This national park was created in 1975 to protect the vibrant flora and fauna of the Osa Peninsula. This small corner of the planet concentrates the greatest biodiversity in the world, it is estimated that 10% of the American species are found here and 2.5% of those of the entire planet. To find this jewel of biodiversity, you must travel to the Osa Peninsula in the South Pacific of Costa Rica, one of the most remote corners of the country. See the location of Corcovado in the following map. National Geographic Traveler magazine define it as “always wet, bright green and full of life both day and night” and has been listed as the best national park in the world by numerous magazines. Fortunately, together with my family, I was able to corroborate the beauty of this place, when last August we visited the Osa Peninsula for the first time. What should I expect for a visit to Corcovado National Park? The Corcovado National Park is located at the end of a peninsula difficult to access and covers more than 56,000 hectares of forest and protected waters with 13 different types of vegetation. The park has several entries, we made our visit to the LA LEONA Ranger Station. I remind you that to enter the park it is necessary to go with a local guide and book the entrance in advance. 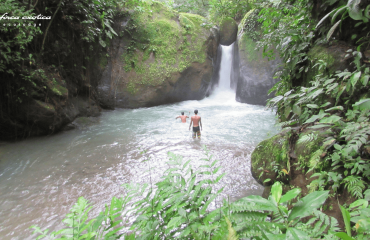 This is the ideal tourist destination for those who have a strong sense of adventure, since only reaching the entrance of the park requires walking several kilometers under a humid climate, crossing rivers, a stream and walking on the beach. Once in the park, you will be impressed by the vibrant nature that surrounds it, the entire path is covered by the shadow of immense trees and you will be constantly stopping to observe animals. The local guide has a very sharp intuition and, with the help of his telescope, you will have the opportunity to see more than 350 different types of birds that hide in the foliage, as well as a great variety of mammals let’s not forget the insects and amphibians that they will be present throughout the journey. With the help of a guide you can enjoy the experience safely and learn about the biodiversity that surrounds it. Those lucky ones, could see some of the attractions in fauna of this place: the puma – one of the big cats that live in the country – or the tapir- the largest land mammal (180-300 kg) of Costa Rica and one of the largest in America, considered in danger of extinction – We saw it! If your interests are rather to observe marine life such as dolphins and whales, do not worry, in this area you can also do it, here you will find some options. What should I bring to Corcovado National Park? To walk the trails you will need good hiking shoes or even rubber boots for the rainy seasons, you should also make sure to take more than 2 liters of water and good food. In addition, the sunscreen, insect repellent, sunglasses, flashlight, a hat and plastic bags inside a backpack are vital for a safe walk. You can also take a camera or opt for the cell phone camera, you will not want to miss a picture worthy of the National Geographic magazine cover. If you want more information about the park or want to stay in the heart of Corcovado, we can help you to have the best possible experience. What should I do to visit the Corcovado National Park? To get to Corcovado National Park you need a 4×4 vehicle or you can opt for public transportation. The stretch before reaching the entrance to the park is an adventure in itself, you must go through rivers and steep slopes. This tour lasts more than six hours from the capital, so we recommend spending a whole day traveling, resting and preparing for your adventure. It is best to book a room at a nearby eco-friendly hotel, where they will help you book your park ticket and contact a local guide. The park is very large, so you can choose the one-day walk, which follows a 17-kilometer trail along the Pacific Ocean and ends in a refreshing pool of fresh water, or you can go into the heart of the park and walk Several trails through primary forest, which will take several days. 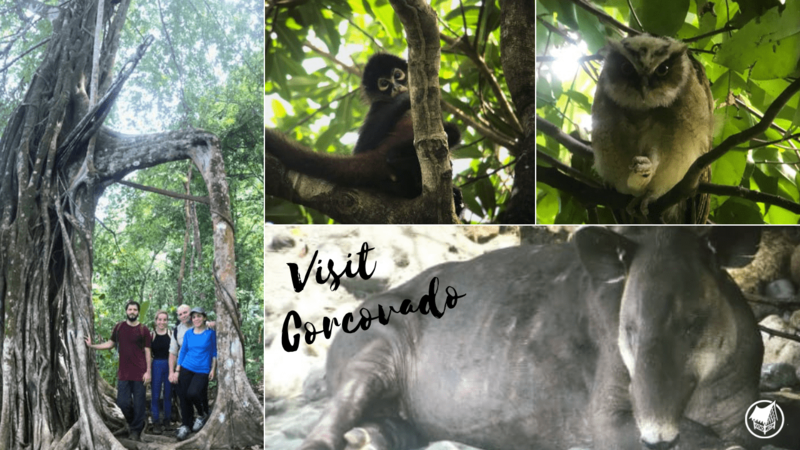 At Finca Exotica Ecolodge we had a pleasant stay in the heart of Corcovado and they helped us get to know the park with the best guides in the area. Here you can see some packages offered by Finca Exótica for your saty and visit to the park. 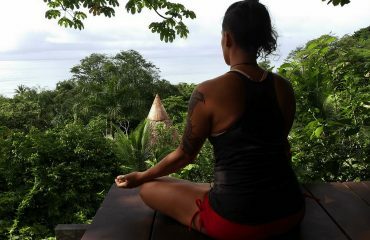 Visit the corcovado national park, we can assure you that your experience will be unforgettable!